A holistic needs assessment will be undertaken at different stages in the cancer patient’s pathway, particularly at diagnosis and following treatment. This is a process of gathering and discussing information in order to develop an understanding of what the person living with and beyond cancer knows, understands and needs. The results are used to inform an individualised care plan. This is usually undertaken in partnership between the patient and Clinical Nurse Specialist . What is a Holistic Needs Assessment and how does it help? A Holistic Needs Assessment (HNA) ensures that people’s physical, practical, emotional, spiritual and social needs are met in a timely and appropriate way, and that resources are targeted to those who need them most. An HNA is a simple questionnaire that is completed by a person affected by cancer, with their CNS or Macmillan Support Worker. It allows them to highlight the most important issues to them at that time, and this can inform the development of a care and support plan. The questionnaire can be completed on paper or electronically. Evidence has shown providing effective individual HNA and care and support planning can contribute to better identification of a person's concerns. It also enables early intervention and diagnosis of side effects or consequences of treatment. As such, everyone living with or beyond cancer should be offered an HNA and a care and support plan at key stages on their cancer pathway as part of the Recovery Package. Evidence also suggests that a person’s holistic needs are likely to change at key points in their cancer journey, like after diagnosis and at the end of treatment, or if something else affects their health or social needs. Having an HNA at these points helps to identify the issues that need to be discussed and can be used to continually inform their care and support plan. The information gathered from an HNA can also be shared with the multidisciplinary team (MDT) and the person’s GP, to improve management and care. Any data collected can be used to influence service developments and the commissioning of future services. 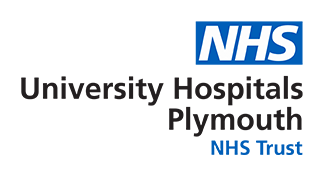 If you are a University Hospital Plymouth patient and would like an HNA, please contact the LWBC Support Worker team on 01752 431467 or plh-tr.lwbcsupportworkers@nhs.net.